Thanks so much to Netgalley and Crooked Lane Books for these gifted review copies. 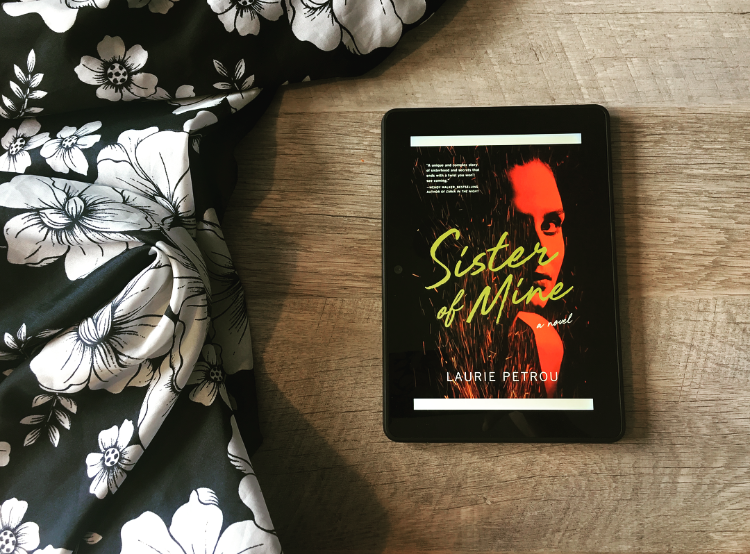 Sisters, like secrets, are best kept close.Penny and Hattie, orphaned sisters in a small town, are best friends, bound together to the point of knots. But Penny, at the mercy of her brutal husband, is desperate for a fresh start. Willing to do anything for her older sister, Hattie agrees to help. A match is struck and a fire burns Penny’s marriage to the ground. With her husband gone, Penny is free, and the sisters, it seems, get away with murder. But freedom comes at a cost. A suspense thriller surrounding two sister, the secrets they keep and how it haunts them. As an only child, I always am curious about sibling relationships. While I did grow up with a cousin who is only a year and a half older in the same household for a number of years who feels more like a sister, it certainly isn't the same as growing up and knowing a sister or brother for most or all of your lifetime. Have you ever lorded a secret over a sibling or friend? Or continually said that they owed you for doing them a favor of some kind? Whether big or small? Well this book goes to an extreme on this type of behavior. It does well in showing both sides and how each sister feels they've sacrificed for the other. Starting off with a burning bed type feeling, you're left wondering exactly what happened, even though you know early on the why. The beginning did feel a bit disjointed - from past to present... it could just be the format of the galley - maybe better read in print format. I'm not quite sure. It did come together towards the end but I never felt connected with the characters or the storyline. A good read for those who love the slow to moderate suspense reads where you circle back to the why of the storyline. It just didn't quite hit the mark for my taste. I wasn't entirely sure what to expect when going into SISTER OF MINE by Laurie Petrou. 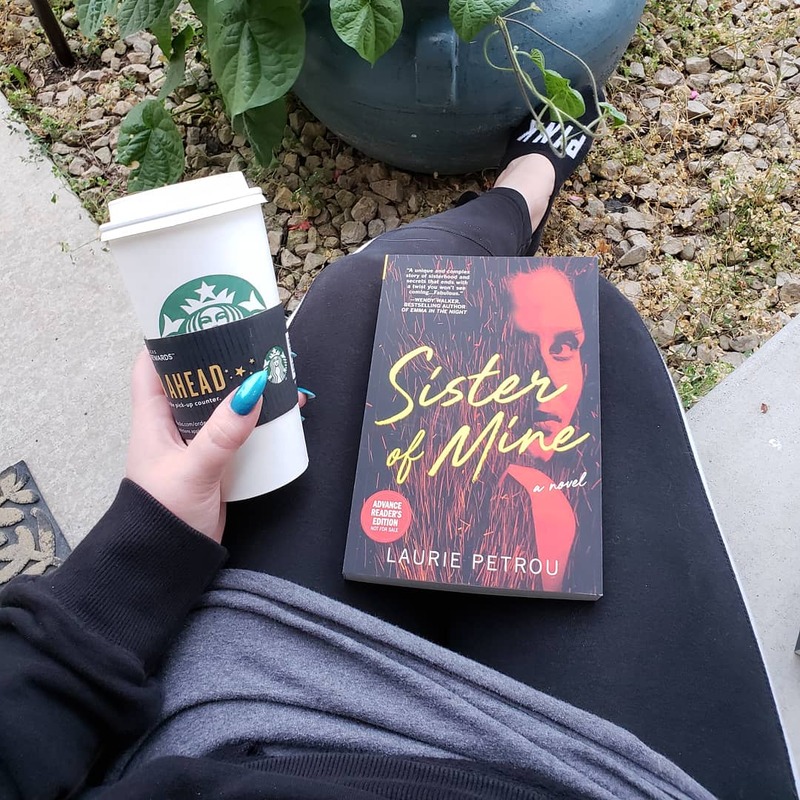 I'm always curious and intrigued to see how an author will portray the dynamic between siblings - especially when there's secrets involved. 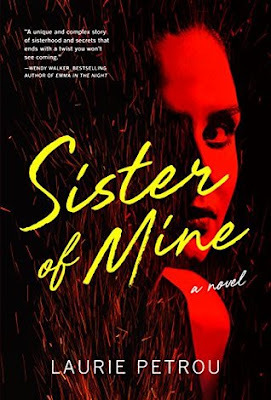 This follows two sisters, Penny and Hattie, their relationship takes a turn when Hattie helps Penny out of a bad situation involving her ex-husband. How long can you hold something over someone's head? Is a debt every truly repaid? With renewed interest in the death of her ex, Penny and Hattie find themselves scrambling to keep their secrets from coming unraveled. I'll admit it, I've definitely said to my brother something along the lines of, "I'll tell mom what you did if you don'd do this for me". Who didn't? But, that was always for stupid things that 10 year olds thought were earth-shattering. The dynamic between the sisters was complicated to say the least. Their close bond was entirely built on their dark secret and a debt that could never truly be repaid. This did move a little slower than I was anticipating - it took longer than I expected to get sucked in. Once I was though, I flew through the rest of the book. This is an easy read and one I can see being a binge-worthy book for a lot of readers. If you're looking for a book that's a thriller with a leisurely pace (is that a thing for thrillers?) then this is the one for you!